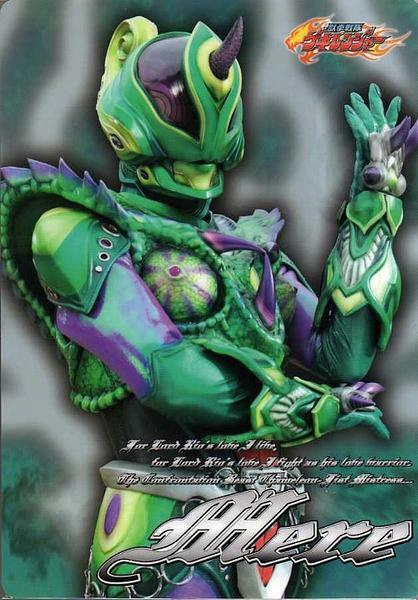 She's Fantastic: Power Rangers Jungle Fury EVIL MELLE! 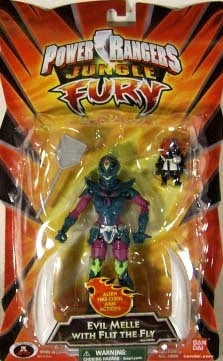 Power Rangers Jungle Fury EVIL MELLE! The Power Rangers franchise has had a lot of cool villains over the years. With the relative similarities between the five heroes over all the numerous iterations, the villains are what really provide variety and excitement season after season. The female Evil Space Aliens usually tend to look like humans with witchy outfits and crazy headgear.. honestly a little lackluster compared to the males with their awesome suits and fighting abilities. That's why I love Melle. She has an amazing design that is quintessential Super Sentai with tons of great detail and a thematic design. In her case, a Chameleon. 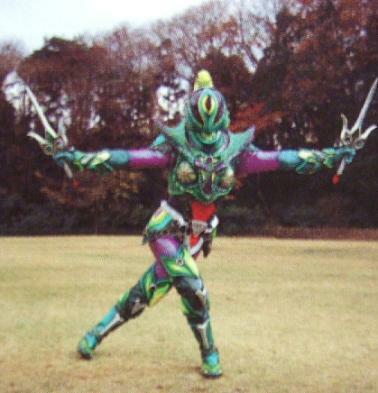 She actually has my favorite costume in all of Super Sentai, Kamen Rider, Metal Heroes, and Ultraman combined. The colours are great, the Chameleon details are consistent and fun, and the fact that they made her into an action figure is just icing on the cake. The figure itself is extremely well made. She is very detailed, well-articulated, and even has a "swatting" action figure. Let's check her out below! My favorite details are the curls on the back of her head and her tail (which also serves as the trigger for her swatting action). Here are a couple pictures of Melle from the show.